In the fall of 1886, Charles Preston Dean founded his manufacturing company at #10 Governor Street in Richmond, and C.P. Dean Company was born. 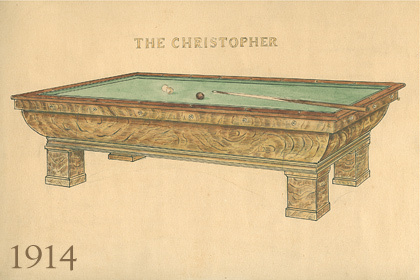 Charles specialized in bank fixtures, saloon bars, ice boxes and pool tables. Because all of his deliveries at the time were made by horse and wagon, horse husbandry was one of his other business duties. As the first trolley system in America came online in Richmond in 1888, the population of 60,000 began to steadily grow. In the spring of 1903, Maggie Walker chartered the St. Luke Penny Savings Bank. A young woodworker with American Furniture and Fixture named William Selden III was part of the crew tasked to install the teller stands and fixtures at this new bank. Later that year, Charles Dean suffered a fatal heart attack as he was walking home through capital square. Seeing an opportunity to realize his lifelong dream of owning a business, William Selden III bought C.P. Dean from the family. He continued the work of the founder and kept the C.P. Dean name as it had become synonymous with top quality products and prompt service. In 1914, Richmond became the headquarters of the Fifth District of the Federal Reserve Bank and soon new banks began springing up all over the city. Selden’s experience and C.P. Dean’s reputation paid off and the company was contracted to build and install beautiful mahogany teller stands and lobby fixtures in almost all of the newly built banks. By the end of the First World War, C.P. Dean had established itself as the premier supplier of mahogany bank fixtures, saloon bars and of course, billiard tables. The roaring 20’s saw the saloon bar business flourish. In 1925, Richmond welcomed its first radio station, WRVA. The following year, the Mosque (now known as the Altria Theatre) was completed, with C.P. Dean furnishing a significant amount of the elaborate woodwork. The Byrd theater followed shortly thereafter in 1928. America’s Prohibition Act completely wiped out the saloon bar business, but C.P. Dean would easily survive, as the dawn of the great depression also signaled the dawn of the golden age of Billiard Parlors. 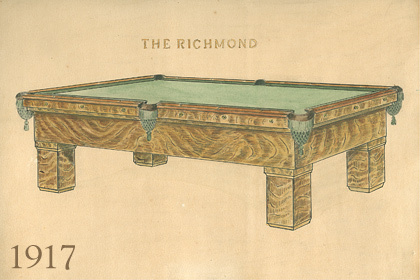 There were more than 18 billiard parlors in the Richmond area at this time, and almost every single one played on C.P. Dean Tables. Tragedy struck in 1940 when William Selden III suffered a heart attack and passed. William Selden IV, fresh out of Thomas Jefferson high school and only 18 at the time, became the acting president of C.P. Dean. The business was put on hold during the Second World War, as William Selden IV joined many of his countrymen and enlisted in the U.S. Army. He served honorably, and upon the end of the war, he restarted the family business and started a family. C.P. 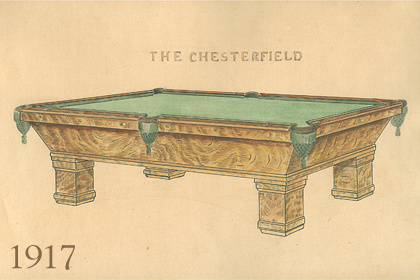 Dean focused primarily on billiard tables during the post-war period by manufacturing and servicing the 100s of tables located on military bases throughout Virginia. In 1948, Richmond welcomed its first TV station, WTVR. Selden and C.P. Dean began selling TVs and Radios by Motorola and RCA, which proved to be very profitable. The company moved to a bigger space in the 50’s, relocating to 1611 West Broad Street. C.P. Dean joined Pleasant’s Hardware and Whitten Brothers motors on the busy intersection of Lombardy and Broad. During the 50’s, competition in the TV market was fierce and a company right down the street, Wards, was leading the way (Wards would later become known as Circuit City). To take the place of TV sales, C.P. Dean began a trophies, plaques, and engraving division which is still vital to the business today. 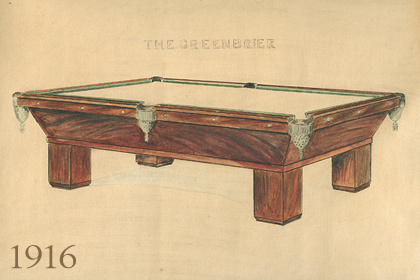 The manufacturing side of the business was winding down, and the company began to sell other manufacturer’s tables, becoming the first Brunswick dealer in Virginia. In 1968, Selden moved the company to 3001 Cutshaw Avenue, tripling the company’s floor space as the retail side of the business began to really take off. The service department also saw huge growth through assembling, restoring and recovering pool tables throughout Virginia. In 1972, William Selden V joined his father in the company and established a sporting goods division that served youth teams and schools. The 6 new sporting goods retail stores outfitted thousands of Richmonders through the 80’s and 90’s. With the advent of the Big Box stores, the decision was made to return C.P. Dean to its two strongest and most experienced departments: Billiards and Awards. In 2003, William Selden IV passed away, having worked 63 years with his company. Today, a Selden still runs C.P. Dean and continues the quality reputation of his forebears. In 2010, William Selden V was honored as Richmond Retailer of the Year by the Retail Merchants Association for his company’s continued service to the community and customers. 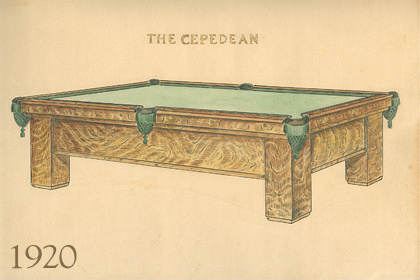 C. P. Dean has Richmond’s largest selection of pool tables and game tables. Whether playing cards or just entertaining, we offer game tables to suit your lifestyle, such as the Austin XL Texas Hold ‘Em table or a 2-in-1 gaming table with chairs. Choose your size and finish for the perfect table. Awards and trophies from C. P. Dean are limited only by your imagination. Elegant plaques of beautifully finished wood and brass, custom engraved from any occasion. Plus, artfully crafted awards and trophies of acrylic, resin, glass, crystal, brass pewter, etc. Turnaround times vary by product. C.P. 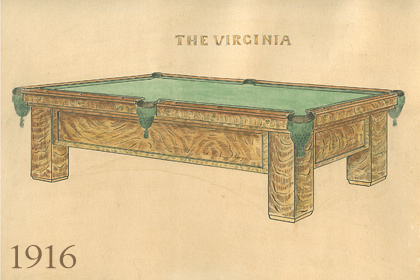 Dean is Virginia”s most experienced billiard service provider, with the ability to re-felt, restore, repair, move and store your existing billiard table from your game room. Old tables are brought into our facility in a variety of conditions, but they all leave to as good as new or better.